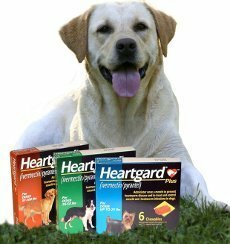 The maker of Heartgard Plus, a heartworm drug used by millions of dog owners, "extortionately fired" its head of "global head of pharmacovigilance" after she refused to destroy documents questioning the drug's effectiveness, the Ph.D. claims in federal court. In her suit against Merial LLC, the animal drug division of Sanofi Aventis, Dr. Kari Blaho-Owens says that she was hired in 2006 after the Food and Drug Administration (FDA) expressed concern about reports of Heartgard Plus being ineffective in preventing heartworm in dogs. Blaho-Owens said that after reviewing the situation, she became aware that Merial had known of the problem since at least 2002 but had done nothing to update its labeling to specify that Hartgard Plus was not 100 percent effective in preventing heartworm. Blaho-Owens said that in one discussion, Dr. Felipe Dolz, at this time Director of Regulatory Affairs, U.S., said that a labeling change would put Merial at a marketing disadvantage compared to competitors' products and that the company would prefer that FDA make the labeling change “product wide,” meaning that it would also apply to competitors' drugs. The suit alleges that internal studies conducted by the company were unscientific and used “cherry-picked” data to support the company's contention that the product was safe was used as indicated. In 2005, the FDA instructed Merial to change its labeling and to stop claiming 100 percent effectiveness and, the suit says, the company agreed to do so but didn't. In August 2006, the FDA warned Merial that it was in non-compliance. In June 2007, seven months after Blaho-Owens began working at Merial, the FDA again issued a warning letter stating that the company had misbranded Heartgard Plus – this time because of its claim that the drug would prevent the spread of animal diseases to humans, even though Blaho-Owens said the company had no information to support that claim. Blaho-Owens said that, instead, the company had evidence that heartworms had developed resistance to the active ingredients in Hartgard Plus and the company was actively working to reformulate it. When Blaho-Owens questioned the company's practices, she was fired, the suit contends. The suit charges Merial with violating the Whistleblower provision of the Sarbanes-Oxley Act.